Vince is a third generation native of Colorado who climbed his first mountain at age five, started skiing at eight, and has called the mountains home his entire life. When he is not out guiding, climbing, skiing, he can often be found on the bike with his wife and three sons in Grand Junction, Colorado. 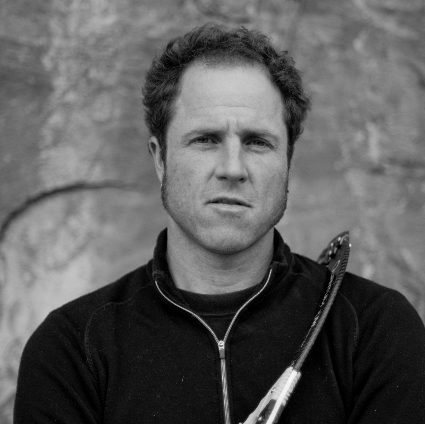 Since 1994 Vince has guided thousands of happy clients on custom ice climbing adventures around Colorado, the Canadian Rockies, the Alps, Alaska, the Himalaya, the Karakoram and the Andes. In 1998, Vince earned the highest level of certification available to mountain guides world-wide, becoming an International Federation of Mountain Guide Association (IFMGA) Certified Mountain Guide. Today Vince passes on his famed experience and calm to young aspiring mountain guides as an instructor and examiner for the American Mountain Guides Association (AMGA). Vince is also passionate about climbing in his personal time. He ice climbed competitively from 2001 to 2008, attaining sixth overall in the World Cup Ice Climbing championship in 2002. Since 2010 he has been the route setter for the difficulty competition at the famed Ouray Ice Festival. Vince is an alpinist who abides by the “light is right” alpine style ethic. Most notably, he and Steve House completed their famous new route on the Rupal Face of Nanga Parbat (26,660?, ninth highest mountain in the world) in alpine style without oxygen in eight days during September of 2005. Vince and Steve have also partnered on numerous other ice, mixed, and alpine climbs, including the first ascent of K7 West in Pakistan and a new route on the North Face of Mount Alberta in the Canadian Rockies. You can check out more on Vince at Skyward Mountaineering. Skyward Mountaineering is a small and exclusive mountain guiding service owned and operated by Vince Anderson in beautiful Western Colorado. They offer customized climbing programs and adventures in Western Colorado, Eastern Utah and around the globe. A super big thanks goes out to long time Michigan Ice Fest sponsor Patagonia for hooking us up with Vince!